Ballistikseife 7kg mit den Abmaßen: 150mm*150mm*300mm. Die ballistische Seife ist Transparent und wird gebrauchsfertig angeliefert. Spezielle Ballistikseife in höchster Qualität mit guter Transparenz für Beschusstests. 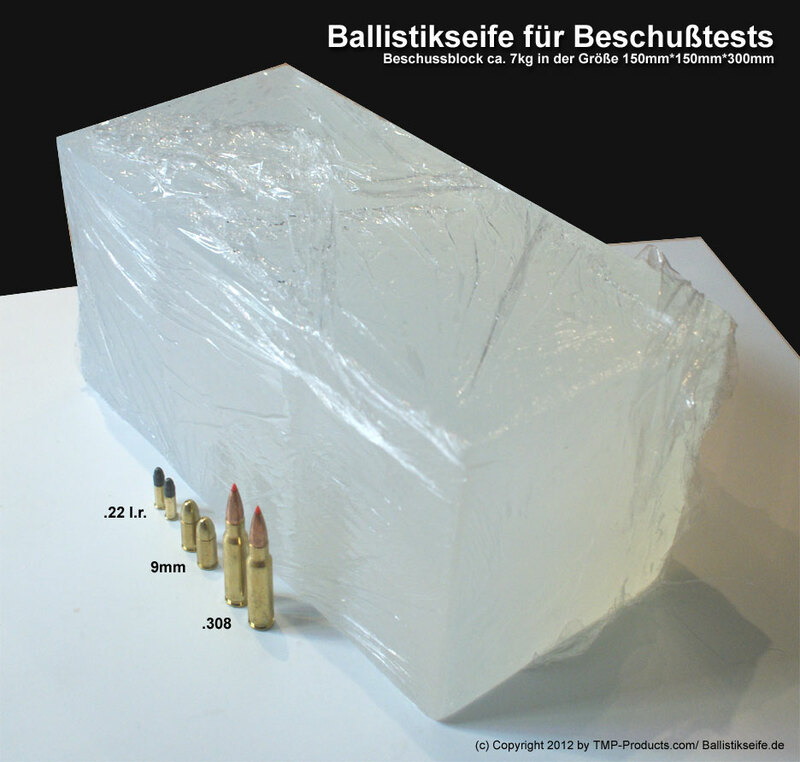 Die ballistische Seife eignet sich hervorragend für Ballistische-Tests und Untersuchungen bei denen Menschliches Gewebe Gegenstand der Untersuchung ist oder man Versuche zur Untersuchung von Geschossen, Geschoßdeformation, bzw. Aufpilzung und Wundballistik vornehmen möchte. Das Material wird in einem Beschussblock in der Größe 150mm*150mm*300mm angeliefert. Dieser kann direkt verwendet werden und es entfällt das etwas aufwendigere Herstellen wie es beim Ballistik-Gel der Fall ist. Leicht gekühlt und etwas feucht umwickelt ist das Material mehrere Monate haltbar. Generell ist Ballistikseife bei Versuchen weniger anfällig bei verschiedenen Außentemperaturen im Vergleich zum Ballistik-Gel. Die Beschuss-Seife ist etwas plastischer als Ballistik-Gel, dadurch werden die Schussbahnen der eingedrungenen Geschosse besser dargestellt. 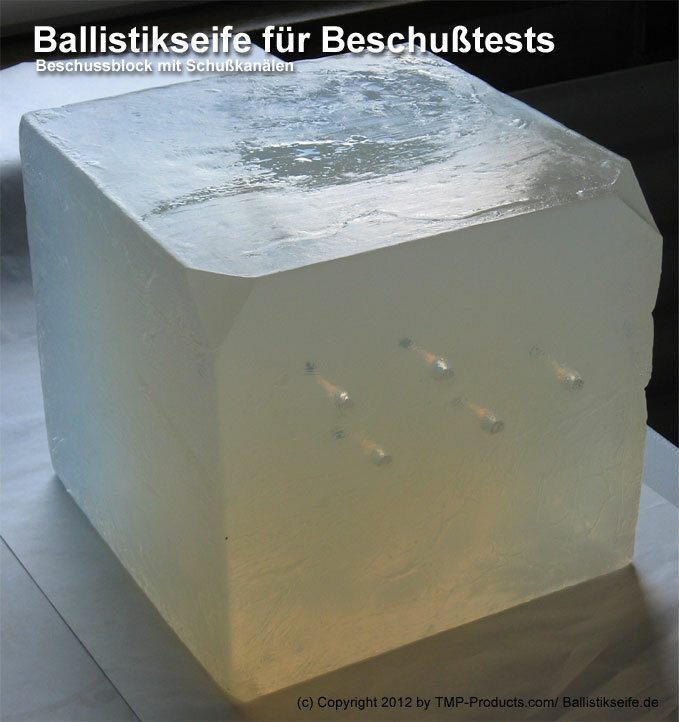 Im Gegenzug besitzt das Ballistik-Gelatine eine höhere Transparenz. The multilingual interior ballistics program calculates properties of your loading data by simulation of the assembly of cartridge components selected by the user. 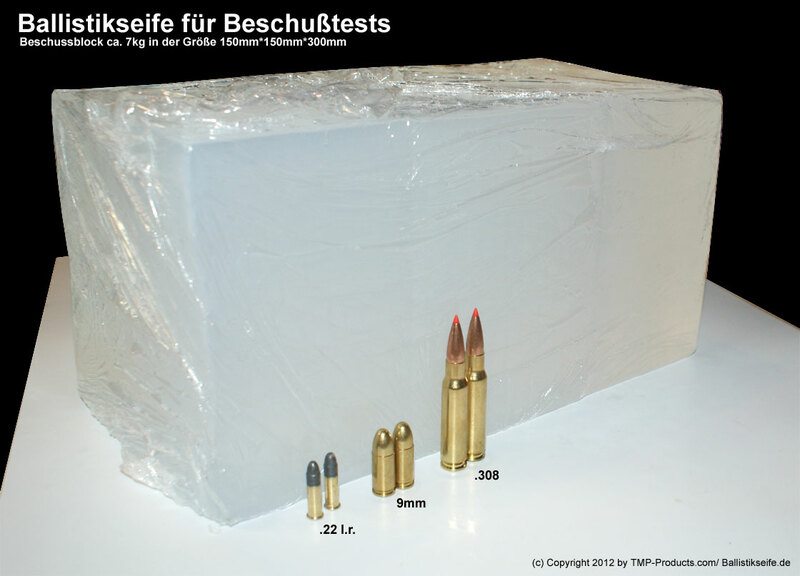 Contrary to common loading programs which interpolate collected loading data, QuickLOAD uses an interior ballistics model to predict the firing of your load. Simply enter the data of your desired load: the program will predict pressure and muzzle velocity. It can also modify the charge by stepwise increments and shows you what happens while increasing or lowering the charge. It will also test your cartridge with different powders to find the optimum charge, depending on desired pressure, velocity or loading density. The program significantly reduces the effort of finding the optimum load. Now, you will reach your optimum load by firing fewer samples of your cartridge than before. Numerous additional functions are included, like recoil calculation, stress on scope mount parts, displaying simultaneous pressure curves of different charges. You may even transfer tabular results of ballistic calculation to MS-Excel for further reworking and enhancement of graphics output. QuickLOAD is an indispensable and valuable tool for wildcats and cartridges not found in current loading manuals. QuickLOAD comes with the exterior ballistic program QuickTARGET. It calculates trajectory tables by using up to 5 BCs per bullet, taking atmospheric conditions and gun dimensions into consideration. Trajectory tables may reach up to 2000 metres. Point blank range, canting, wind drift, sight correction, hold on point and moving target lead can be calculated. User may recalculate BC from existing trajectory data. Output in tabular or graphics form. QuickLOAD comes with data of 840 calibres and 160 powder types and includes data of over 1800 bullets, selectable by manufacturer. User may add, change or remove bullet or cartridge data by himself. Entries can be done simultaneously in both metric systems, either SAE or SI. There is a built-in cross-calculator for various physical or technical units. The program may be switched between English and German language. User’s guide is on CD in both languages, and will be installed on hard disk in the language selected.